1. Mix packet contents with 1/4 cup warm water in bowl, stir until completely dissolved. 2. Place 1/2" strips of fish in plastic bag. Add 2 tbs of vegetable oil and coat fish thoroughly. 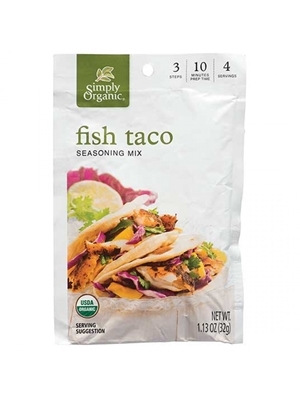 Add taco marinade and coat fish again. 3. In large skillet, thoroughly cook marinated fish. Squeeze 1 large lime on fish before serving. Makes 4 two taco servings.